The Chinese space industry is often misunderstood in the West. This could not be further from the truth; the number of private Chinese space companies are growing. Often occupying highly niche market segments, China’s private space ventures are making very real technological breakthroughs (or at the very least, catching up with the West increasingly quickly). Beijing LandSpace Technology Corporation Limited (LandSpace) is Exhibit A. The privately owned launch vehicle manufacturer founded in 2015 recently completed a 200 million yuan ($35 million) Series B funding round, with this coming around two years after a Series A round of half that amount. All of the company’s funding has come from private (i.e. non-government) sources. In addition to the recently completed funding round and customer commitments, the company also took an important step on the technology front with the successful test of Phoenix, 10-ton liquid-oxygen/methane rocket engine. Phoenix represents the first successful testing of a liquid-oxygen/methane rocket engine by a private Chinese space company, and has the potential to help in the commercialization of methane-fueled rockets. Beyond this, at the first China (International) Commercial Space Symposium held in Harbin in April, LandSpace announced their 70-ton liquid-oxygen/methane rocket engine, TQ-2, and the methane-fueled ZQ-2 rocket. Landspace officials said ZQ-2 will have the capacity to launch a 1,500-kilogram payload into a 500-kilometer sun synchronous orbit, or 3,600 kilograms into a 200-kilometer low Earth orbit. That would make ZQ-2 as much as 10 times more powerful than Electron, the dedicated smallsat launcher that U.S.- and New Zealand-based Rocket Lab sent into orbit for the first time in January. 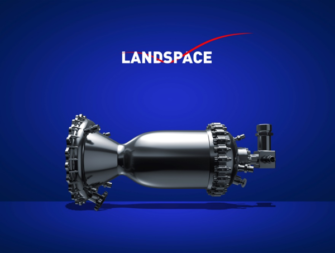 Photo illustration of LandSpace rocket engine. With this advancement, China becomes the third country in the world (after the United States and Russia) to have a private company capable of independently developing liquid-oxygen/methane engines. While still lagging the capabilities of the world’s most advanced private launch companies and their engines (i.e. SpaceX and its Raptor engine and Blue Origin and its BE-4), LandSpace’s Phoenix represents a big step forward for a space program that is just starting to embrace private enterprise. LandSpace’s ascension is indicative of a broader trend in China today — the increased proliferation of private space companies. Launch companies alone include LinkSpace, OneSpace, iSpace, LandSpace, and ExPace (though ExPace is largely funded by CASIC and only nominally private). 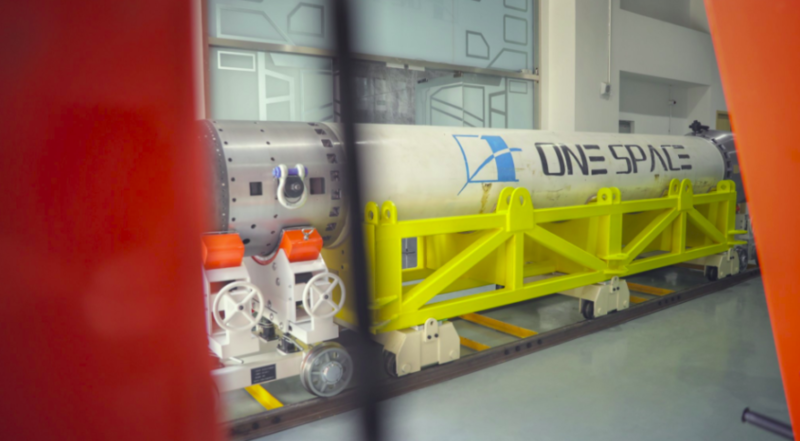 Among launchers, iSpace launched a suborbital rocket in April from Hainan, and OneSpace launched a suborbital rocket earlier this month. LinkSpace has also finished a vertical take-off, vertical landing test in 2017. While launch companies have recently made the most headlines, other areas of space such as Earth observation, telemetry, tracking and command, and nanosatellites are also progressing in China. This pragmatic view is shared by many: space is a growing industry; China has a small piece of the global market today; and thus China should invest more to become more internationally competitive. Li has since mentioned to the media that he has dreams of seeing a Chinese private space-exploration leader, a Chinese Elon Musk, if you will, to lead a Chinese SpaceX. While Li’s own space ambitions are unclear, his pockets are deep — his stake in Baidu is worth more than $10 billion. Li’s wishes for private space support from the government were granted in 2014, when the China State Council published its first specific mention of private space industry. It noted that it would strive to “encourage private capital’s participation in China’s construction of civilian space infrastructure.” The support from the government has opened the door to a number of private companies to play in different parts of the market. The Beginning of a New (Private) Space Race? As has become increasingly clear over the past few months, one of the likely challenges facing launch providers in the future will be low-cost competition from Chinese companies. While regulatory barriers remain in force in both China and the United States, both countries are likely to give rise to innovative sector leaders across the increasingly diverse and specialized space industry. U.S. and European companies enjoy market dominance now. However, as Chinese companies start to provide service to foreign (but non-U.S.) companies, their concepts may become proven, and their products significantly more appealing to value-conscious companies in the rapidly expanding new space industry. The space race of old was between governments, but we may be on the brink of a 21st century private space race on an international scale. Tianyi Lan is founder of Ultimate Blue Nebula Co., Ltd., a space consulting company, and is an editor of Satellite World, a Chinese-language satellite news publication. He previously worked for CAST, and is based in Beijing. Blaine Curcio is founder of Orbital Gateway Consulting LLC, a commercial space and satellite consulting company, and was previously Principal Analyst at Northern Sky Research. He is based in Hong Kong.